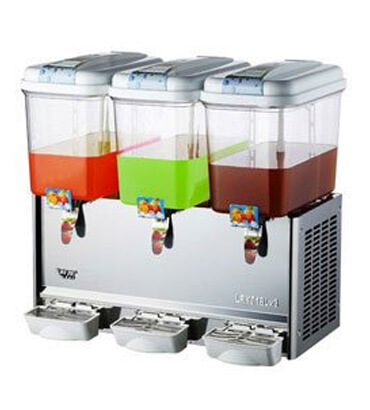 Soft Drink & Cold Beverage Dispenser Manufacturers in India, Cold Beverage Dispenser Supplier in India. We offer an extensive assortment of Cold Beverage Dispenser in India finds application in various places such as homes, commercial, residential places as well as industrial for keeping water safe, clean and cool. We manufacture these cold dispensers in India using finest quality raw materials by implementing well-developed mechanisms and innovative technology in accordance with the quality standards and norms. These cold dispensers in India are highly applauded in the national as well as international market owning to their features such as excellent in performance, hygienic water and cool. • Simple, handy and versatile unit designed for cooling & dispensing any beverages (natural fruit juices, coffee, tea, milk shakes etc.). • Easily removable food grade, un-breakable, transparent bowls. • Optional whipper attachment designed for serving cold coffee and any milk based products. • Performs effectively even with low volume Adjustable drink temperature. • Easily and quickly removable part for a perfect cleaning.